Contact Royal Mail customer services by calling their dedicated phone number 03457 740 740 where you can enquire about their track and trace parcel delivery options, which allows you to check when your package will be arriving in real time. You can also call this number to find out how many postage stamps you will need to send a letter of any given size or weight. Finally if you have received letters for a person who no longer lives at your address you can call this helpline to find out how you can return them to the original sender. Lines are open 8am-6pm Monday-Friday, 8am-1pm Saturday and 9am-2pm Sunday, however you should be aware that these opening times may change on UK bank holidays such as Christmas Day. Calls to Royal Mail are charged at standard UK local rates, which means you will pay a variable per minute fee which depends on when you call them on as well as an access charge which is set by your landline or mobile provider. However if you have free inclusive minutes as part of your tariff you will be able to phone Royal Mail for free as these can be used for calls to 01, 02 and 03 telephone numbers. Alternatively if you require the use of textphone services due to a severe speech impediment or hearing difficulties then you may use their type talk helpline 03456 000 606, which is charged at the same rate as the customer service telephone number. Contact the Royal Mail shop by calling their official phone number 03457 641 641 to purchase commemorative stamps as well as postage for your letters and parcels. Moreover if you require technical support when printing out postage labels on their online service then you can call their helpful team of advisors for troubleshooting advice. They also have a range of gift items including stationary so you can call this helpline to get their prices and for options such as wrapping. If you are outside of the UK you can call the Royal Mail shop from abroad by using their international phone number +44 131 316 7483, however please note that this will cost more than making an equivalent call from within the UK and that the exact charge will depend on which overseas country you are calling from. Call Parcelforce on their UK phone number 0344 800 4466 to contact the international subsidiary of Royal Mail about your overseas parcel delivery. You can call this number to track the progress of your package as it travels around their network to ensure that your personal or business arrives on time. This is also the UK contact number for the United States Postal Service (USPS), so if you are expecting a delivery from the US courier you can call this helpline to track your package and to make amendments to the scheduled delivery date. Alternatively if you calling from outside the UK you should contact your local Parcelforce carrier by using the appropriate telephone number from the table below. Contact Royal Mail on their dedicated business phone number 08457 950 950 (7p/min + access charge) to arrange regular parcel deliveries using their commercial services. If a package for your customer has gone missing then you can call this helpline to get an update on when it will reach them and to request compensation in the event it was damaged in transit. You should also phone this number for support with an existing contract, for example to notify them that you are moving premises. 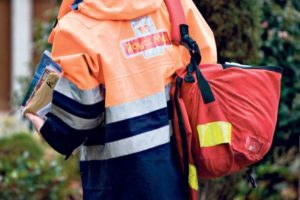 Royal Mail offer a number of ways in which you can contact them including email addresses, a freepost postal address and official accounts on some of the most popular social media websites used across the globe. If you would like to write to Royal Mail you can use their freepost customer service postal address which is provided below, you do not need to affix postage stamps to your letter when writing to them making it essentially free of charge to contact them using this method. You can email Royal Mail by going to their contact web app, where you will also find helpful options including live web chats with their UK-based team of advisors. 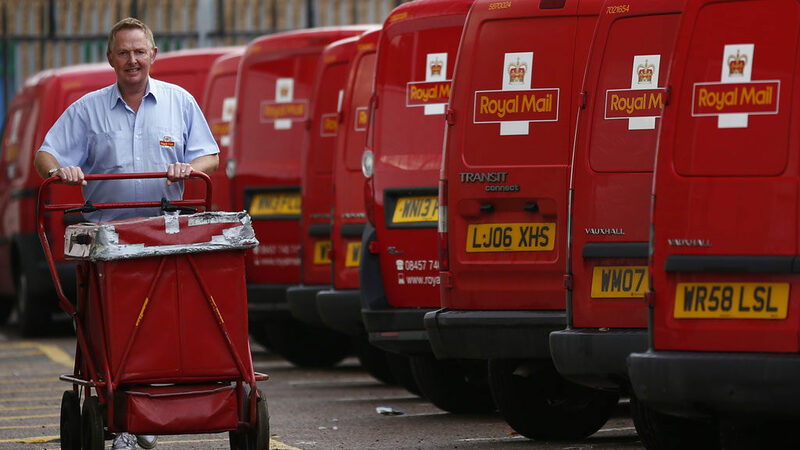 Royal Mail have dedicated support profiles on social media websites for the tech savvy individuals amongst you, where you can also see the latest promotional rates for their domestic and international parcel deliveries.